Sometimes I wonder just how much our teachers care about us. I know it might sound silly, but really, this is an honest question. Do they care? Now, I have to admit I do believe they care about us . . . personally. So maybe I need to be more specific. Do they really care if we succeed? I have stressed out about numerous classes because I’m not entirely sure how I’m doing in the course. Knowing your academic standing is serious. Some of us might lose a scholarship over this. Some of us might not be able to come back to SNU. If we don’t know how we are doing in the class, we won’t know when or how we can improve. If teachers were really concerned about the success of their students in their classes, they would post grades. Not only would they post grades, but they would do it quickly. How can we, as students, improve if we have no idea how we did last time, what we did wrong or how we are doing in general? Without feedback, how do we know which direction is the right direction to head? Only two of my six classes have a Moodle page. Even then, neither of those Moodle pages have an up-to-date grade book. Actually, neither of them has anything in the grade book so far, and let me tell you, I’ve had plenty of assignments. 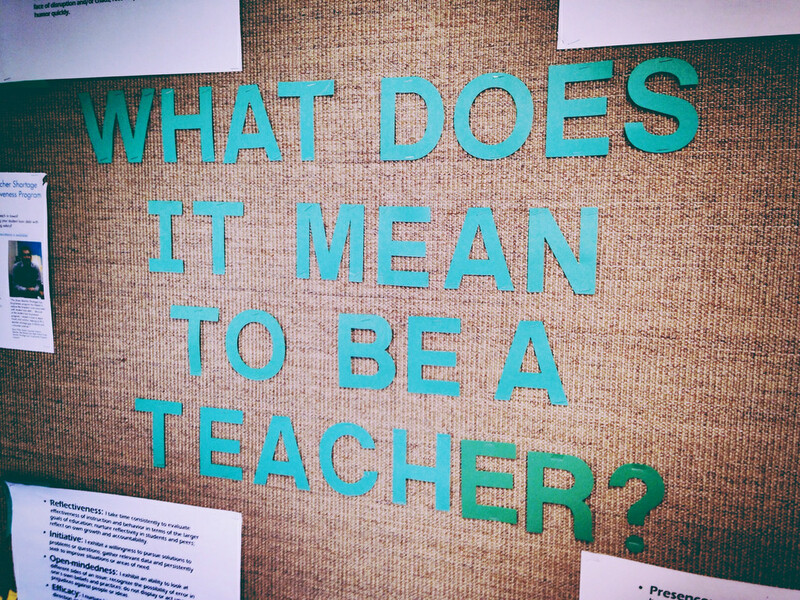 I understand teachers have a life and other things they want to do. Sometimes they just don’t have time to grade so much homework. But I could say the same about myself. Sometimes I don’t have enough time for everything, and frankly, I never sleep. I love sleep. So why is there a double standard? Why are we expected to do everything our teachers give to us on time, and they are not expected to just keep up with it? Seriously, if you, as a teacher, do not have time to grade all the homework, don’t assign so much homework. It’s awfully simple. If teachers want to foster success in us, they would do anything within reasonable limits to promote that success, especially if it is part of their job. I don’t really care for “anonymous” or pseudonym bylines on opinion pieces–takes some of the credibility away, I think. However, Anon does bring up a question I have about grade records. Why can’t the student keep her own records? I try to return all written homework, exams, projects to my students by the next class. It’s not always possible, of course, but I try. I’m not one to dally. (Dallying doesn’t work when you assign and read a good 600-700 writing assignments per semester.) It would seem to me that a student who wants to see how she’s doing in a course would be able to inform herself. If she really wanted to. I think that the writer thought that if they were not anonymous the message would not be received as wide spread–that most students or teachers would reject his or her concern because they didn’t have him or her as a student or friend. While I understand the frustration of not getting grades back quickly, I tend to always have some kind of idea of what quality of work I’ve turned in. I agree with professor Wilcox and with what Anon is saying. I think also what Anon may have been trying to get at was that, students usually work harder when a teacher is invested in their class. If a teacher is really on top of the ball with things it makes me want to try a lot harder to learn and succeed. I realize that life happens and long essays take a while to grade and occasionally I will miss assignments too. I think professors and students both, just want the other party to be equally invested in the learning process. I know that in one of my most favorite classses, at the beginning of the semester, the professor and the students made a contract with their expectations for themselves, their professor, and their classmates. I agree, that both parties have to be completely invested. And studuents and teachers should probably have clear and reasonable expectations of each other. I know that what you put into a class is what you get out of a class, and your expectations for a class can greatly affect the outcome. – course prep (easier for classes already taught. harder for new courses. ), including crafting a MyCourses page (unless the prof. chooses not to use one for whatever reason). – running class sessions in such a way that it fosters student learning (hopefully, this is done intentionally); this is harder than it sounds. – doing course prep and class sessions for somewhere between 1-11 classes per semester (course load varies by status [adjunct or full-time], by courses required for the major or gen. ed., and by number of majors present in each department). – grading (load is determined by # of students per class, assignment difficulty, etc.). so, if a prof has 5 classes of 20 students each and s/he assigns one assignment per class, that’s 100 items to grade. that number jumps to 200 if a prof has 10 classes with 20 students each. – advising students – # of advisees varies depending on how many majors a department has. one faculty member i know had >60 advisees last semester. – chapel attendance (this is literally in our faculty contracts as an expectation, although only some of us take it seriously). – meetings – department meetings, college meetings, faculty meeting, committee meetings, etc. – the ever-present call to “university service,” which can mean participating in NSI, paired courses, mentor pods, attending sporting events, music events, sponsoring student groups/clubs, etc. not to mention faculty expectations i’ve forgotten, or other worthy pursuits like maintaining good relationships with people outside work (spouses, children, family, friends), keeping up with “the home” and everything that can mean, exercising, fostering personal growth, having hobbies of any kind, being involved at church or volunteering, etc. etc. etc. ronna – i like when you said, “I know that what you put into a class is what you get out of a class.” that’s true for professors, too.